This simple advice is tried, tested, and true: your problem might go away if you turn it off and on again. If something doesn't seem right with your appliance, turn it off or unplug it for a while and let it rest. Plug it back in and see if that fixed the problem. Who knows, it may just fix everything! There are many things on appliances that you might be able to fix yourself. The trick is to know what you need to fix. Luckily, that could be an easy fix. Find out the make and model of your appliance. Once you have that, look up the owner's manual for it. There is almost certainly a section on troubleshooting in the manual. Follow the steps to determine the error code, and look up the problem online. If its a bit more complicated than you'd like to handle, just give us a call and we can work with you on fixing your appliance! Gas powered appliances depend on some sort of ignition process in order to work. Often times these igniters can get covered with soot and buildup. If your appliance isn't working, you might just need to clean the igniter. Regardless, once a months its a good idea to check on the igniter to see if it needs cleaning. The dishwasher is a valuable modern appliance. It allows us to clean our dishes quickly without much thought. However, its important to know how to use it the right way to ensure your dishes are as clean as they can be. Here are some tips to help your dishwasher wash dishes! This makes it so the sharp parts aren't touched, which are also the parts you eat with. Don't use your dishwasher if its only half full. Doing so waste time, money, and water. Run a load when its all the way full. If you unload the dishes on the top rack first, it may leave water drops on top of dry dishes and leave spots on them. Periodically run an empty load with white vinegar. This is a dissinfectant that kills fungi and bacteria that could grow from builtup left over food particles. Aater and heat need to make even contact with the entire dish in order to properly clean them. This can't happen if they're touching other dishes. The top rack isn't as intensive with it's cleaning cycle. THis will keep fragile and small dishes safer from breaking. Angling your cups as much as you can will make it so water won't puddle on the top of your dishes. Tines are the things that hold the dishes in place. These are made to have dishes between them instead of on top of them. Putting dishes on top of them could break both the dishes or the tines over time. Having laundry the size of Everest in a pretty common thing. The laundry just never seems to end! You may want to try to pack your washer to get rid of all of it quick. You must resist this temptation! 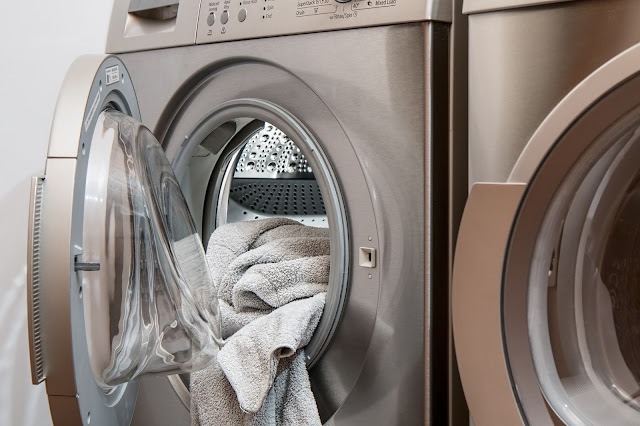 Overloading a washer may cause flooding and may ruin your motor. Slow and steady wins the race, and keeps your washer alive! When was the last time you replaced your water filter? Your tap water can have more than just water in it. It may have herbicides, pesticides, heavy metals, benzene, and a bad taste to it. Luckily, there's a very simple method to getting all of this out: Change your water filter. Your water filter needs to be changed every 3-6 months to ensure that it's filtering properly. When was the last time you changed yours? Is it time? Condenser coils are the coils in the back of the fridge or freezer that cool and condense the refrigerants, which keep your food cool. When these coils gather dust on them, these coils have to work even harder to remove heat, which means they need to work even harder. You should clean these coils at least twice a year. Why not clean them this weekend? You should inspect your water hoses to your washing machine at least once a year. Make sure that they're securely connected and are free of cracks, or bulges. If there is any damage present, contact us immediately and we'll help you get it fixed before it floods your house! With the heat going full force, freezers are working overtime. If your freezer's gaskets (the rubber seals) have gunk in them, are cracked, or otherwise not working, it could mean that your freezer is sucking energy or slowly thawing your food. If you need help replacing them, give us a call today! If you wanting to enjoy a fresh lemonade this 4th of July, make sure to empty your ice bin now. Ice that has remained in the ice bin for long periods of time can gain an odd odor and taste from the other food items in the fridge. When you take out all the ice, it wouldn't be a bad idea to disinfect the ice bin as well. Enjoy your 4th of July and your fresh and tasty lemonade! Debris and spills build up can prevent the gas from burning the right way, and create more wear and tear on the stove. When cleaning, make sure the gas is off and you take all the proper safety precautions. Summer is here and it feels so good! If you're reaching into the freezer to enjoy a popsicle, you may see a lot of ice building up in there. This ice prevents your appliance from running as well as it could, and this makes it use up more electricity. To correct this, take all of the food out of the freezer and put it into a cooler on ice. Unplug your freezer and leave it open. Let all of the ice dethaw. Once it has, wipe up excess water. Then sanitize it all down before you plug it back in. Enjoy your otter pops this summer! Is the self clean cycle on your oven enough? Having your oven clean itself is a very tempting chore to do, or in this case, not do. You can just switch it on and it takes care of itself, right? Unfortunately, the self-cleaning oven feature isn't as effective as a good old fashioned scrubbing. It just can't be beat. If you're wanting to put some elbow grease in, make sure the oven is unplugged and the racks are taken out. This might also be a good time to check to see if the seal on your oven is damaged. This simple maintenance may help keep your oven staying hot for years to come! Is your fridge not cooling properly? If your fridge isn't cooling very well, the problem easily could be the condenser coils. The fix is a really easy one. First you locate where your coils are. They are likely under or behind the fridge. Make sure you can easily access them wherever they are. After that unplug the fridge, so that you don't accidentally shock yourself. Use your coil brush to wiggle lose any dirt, dust, hair, or other particles, and vaccuum up anything else that remains. If you have any other questions or concerns, feel free to give us a call! Did you know that garbage disposal blades dull with time? It makes them less effective at chopping up food bits. One of the easiest ways to keep them sharp is to put ice down the disposal while its running. This sharpens the blades and keeps them working great! For an added bonus, throw some lemon down there to keep it smelling fresh! Preventative care is always better than corrective care. This means that upkeeping your appliances, such as keeping them clean, is much less expensive than having to replace a part or all of it. We are dedicated to help you know your options with both needs. We run this blog to help give you preventative tips, and also run our business to help you get your appliances working like they need to. Give us a call or stop in today if you're in need of help! There are a few things that you should keep in mind before the repairman arrives at your house to fix your appliance. It will make life easier for both you and for the repairman. We tend to be pretty good about our appointments, but sometimes things run over or under time. Its a good idea to have some extra time before and after the appointment set aside in case this happens. Be able to communicate how your appliance isn't working, and how it may be on the fritz. If you have the make and model of the appliance before you call us, we can be even more prepared. We might need to get some equipment in and out, and maybe even the appliance. Make sure there is a cleared path for us to get around. Make sure your animals are put away. it is safer for you, us, and them. We want to make sure there aren't any accidents! Its a good idea to ask how much repairs might cost. If you ask us before hand, we would be happy to give you an estimate. We're starting to use our air conditioners more and more! How ready is your air conditioner for the summer season? It might be a good idea to get your filter cleaned or replaced. Remember: You should be doing this at least once or twice a month for your air conditioner to run most effectively. If you're unsure how to change your filter, our friends at Antlerdreamer have made a great video on how to do this here. One common problem with electric ranges is the prongs. Sometimes they can get bent inwards and they don't handle the electricity right, which means the element doesn't heat up. Luckily, this is an easy fix. When the element is 100% cool, unplug it and take it out. This would be a great time to clean it if it's in need of a great scrubbing. 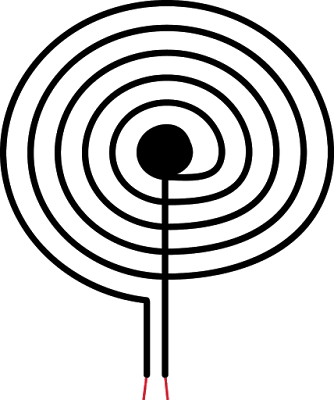 Then bend the prongs (pictured red in the diagram) outward. This makes it much more likely that the element will be able to have the electricity flow through it and heat it properly. So many cleaners have very harsh chemicals. Some that even encourage you to wear a mask, have flowing air, or take very frequent breaks from using it. There is one that cleaner that we always recommend that has none of the negative side effects: white vinegar. The thing that makes vinegar such a good cleaner is the acetic acid. It helps clean away dirt, grime, and germs. Its safe to clean your washer, dryer, fridge, oven, freezer, microwave, or just about anywhere else. If you're into green and safe chemicals, it the perfect option to switch to. Salesmen at a big-box shop can be intimidating with their pushiness. They want to sell you the latest and greatest so they get their commission. They will practically try to sell you a washer and dryer that tweet out when your laundry is done. No one needs all those bells and whistles - just clean clothes. We sell the tried and true products, and with great perks. We have a lifetime service guarantee and have a 90-day financing cash option! We also wont push you to close a sale. If you're in need of a new large appliance or just a repair, give us a call or stop on by. 1. Make sure the water is hot, preferably at least 140 degrees. Note that this is hot enough to burn you! 2. Make sure the lower spray arm turns freely. 3. Clear out any debris from the bottom inside the dishwasher. 1. Make sure they are sitting straight in their proper positions. 2. Make sure the clock is set on manual cycle and not the automatic time bake cycle. 3. Wipe off the burner with a hot, damp rag and then dry completely. 4. Make sure the clock is set on the manual and not the automatic cycle. 5. Raise up the top and keep the area clean and free of grease build-up. 1. Turn the thermostat up to the next highest setting. If it comes on, let it run for 24 hours and check temperature to confirm it is working properly. 2. 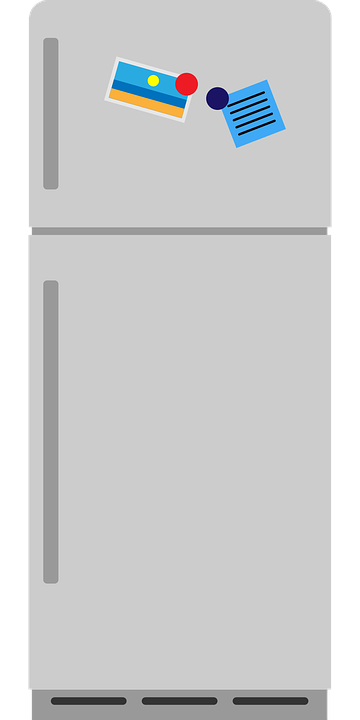 Clear and/or remove anything blocking the air flow around the outside of the refrigerator (on top, underneath, behind, beside, in front of, etc.). Allow 3" of clearance all the way around. Everything Is Defrosting, So Should Your Freezer! Its starting to warm up, the sun is coming out more, and you may have even seen some squirrels running around. While everything is coming out of the big freeze, it might be a good idea for your freezer to do the same. Take everything out of your freezer and into a cooler, unplug it, and leave the door open. Let it completely defrost. When the entire freezer is room temperature, sanitize it. Finally, you can put everything back in and enjoy a more functional freezer! The secret to a long life for your appliances is a simple one. Cleaning is the secret to appliance longevity. When gunk builds up, it makes the appliance work harder and thus shortening the life of the appliance. By using this one trick, you could keep your appliances for years longer than if you didn't. So now you know! Now go and clean every nook and cranny of your appliances! Don't forget to wash behind your gaskets! Dust, mold, mildew, and food particles can get stuck in your fridge's gaskets. Your gaskets help keep the cold air in, and if something is preventing a clean seal, it'll make your fridge not work as well. This is an incredibly easy fix though. All you have to do is get a damp towel or wipe and clean it out! Is your freezer squealing like a pig? There could be a couple of things that this is, but one of the most likely things is your freezer fan motor has gone out. This is a bit trickier to do yourself, so give us a call and we'll help you fix it in no time! Is your water or ice tasting or smelling odd? Chances are that you need to replace your water filter. Ideally, water filters should be changed every 6 months or so. Usually replacing them is easy enough to where you can do it on your own at home. Just look up the manufacturer’s instructions on how to do it. Is your ice tasting a bit funny? Is it not dispensing? Ice and odors can build up and can affect the taste of your ice and functionality of your ice dispenser. Luckily, this can be an easy fix. Take your ice bin out and dump all the ice out that is in it (and make sure the ice maker is off). If there's any ice that is frozen to the bin, leave it out to melt. Once all the ice is gone, give it a good wash with soap and water! Once dry, put it back in and enjoy your tasteless ice! There are a couple of things that can make our job helping you a lot easier. Let's go over them! Knowing which brand your appliance is helps us narrow down what the problem may be, and how we can correct it. Certain brands operate in certain ways, and if we know which one it is, it makes it that much easier for us to fix it! Knowing the model further narrows down what the problem may be. Like with brands, certain models tend to wear out in very specific ways. This is a very simple fix to ensure that your gaskets on your fridge or freezer are still good. 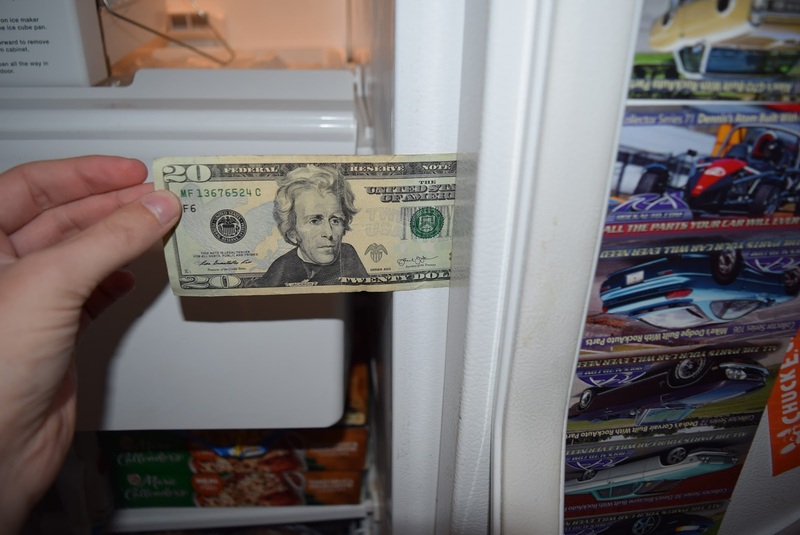 Open the door and shut it with a dollar bill in it. When you try to pull it out, there should be a little tension - you can't just pull it straight out. All the steam and splashes from cooking makes range hoods surprisingly gunked up. Every couple of months you'll want to replace them. If you have metal ones, just take them out and wash them with soap and water. Charcoal and paper filters just need to be replaced.